Like many of the other restaurants in the area, MamaSushi is located in a relatively small, but cozy venue, alongside a row of hole-in-the wall bars on Dyckman Ave, one block north of the A train. 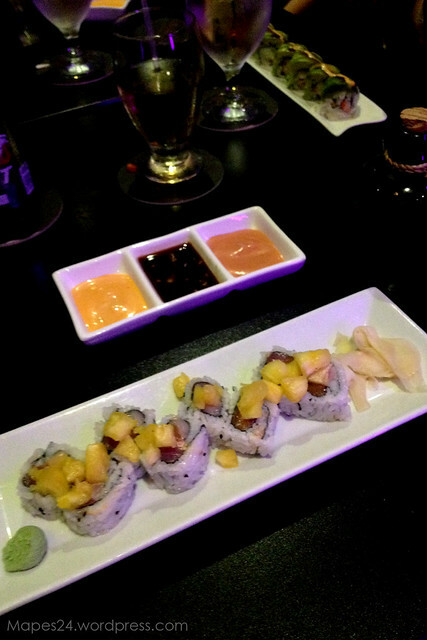 With names like the Campesino, the Chimi and Las Terrenas, you quickly realize that the rolls you’re choosing from aren’t going to be of your typical Japanese variety. I decided upon the Three Amigos roll (spicy tuna, spicy salmon, spicy yellow tail, topped with tempura flakes and pineapple), a beef teriyaki bento box, and the cerviche appetizer (yes, I can throw down, haha)! I commend the owners (who happen to also own Mamajuana’s Cafe), for bringing an alternative to the traditional caribbean fare that you find throughout the majority of uptown neighborhoods, but I find that the fusion of caribbean and Japanese flavors did not work out equally well in all my dishes. 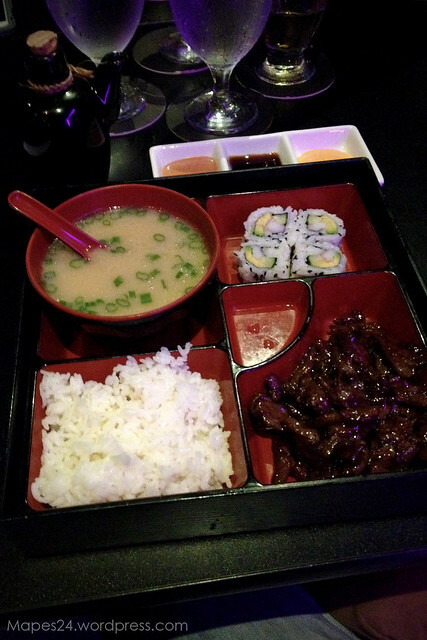 The cerviche was top notch, but I found the beef teriyaki sauce to be slightly too sweet compared to typical Japanese bento boxes, and the Three Amigos roll actually worked better for me when I removed the pineapple. I applaud them for their quick service, flattering food presentation, and for providing a comfortable ambiance, but being someone who really appreciates the light, subtle nuances of traditional Japanese food, I found my menu choices for the night to be a bit ‘heavy’ in flavor, and maybe a bit more suitable for someone with a more westernized palate. 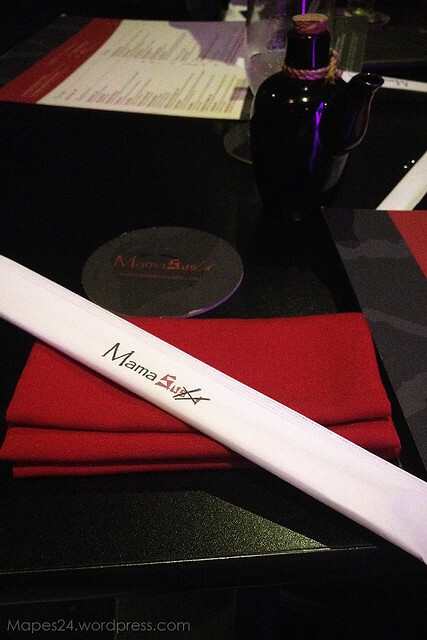 Final thoughts: If you’re in the Inwood/Washington Heights area, and are looking for a quick meal prior to a night out at the local clubs or bars, MamaSushi is worth consideration.